I spent 9 months in this relatively small but beautiful city in central Europe. I have now been almost 9 months away from her and I miss her terribly! Looking through some pictures of my first week there, it felt like a virtual tour that I would like to share with the world. So, here we go! 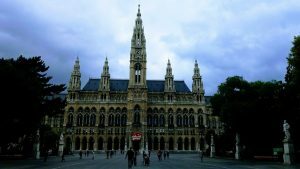 My first day in Vienna, you can imagine I wanted to see everything. 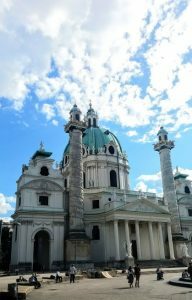 Of course, I couldn’t, but I started off with Karlskirche (literally, the church of Carl), which came to be one of my favorites in the city. 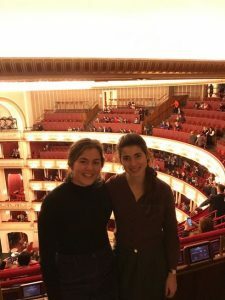 Next stop was the Vienna State Opera! I got to see the inside of it many times since it only costs 3 euros to get standing tickets. It is a gift to music-lovers. I forced everyone who visited me to go to a performance. Here is a picture of my now opera-fan friend and me! 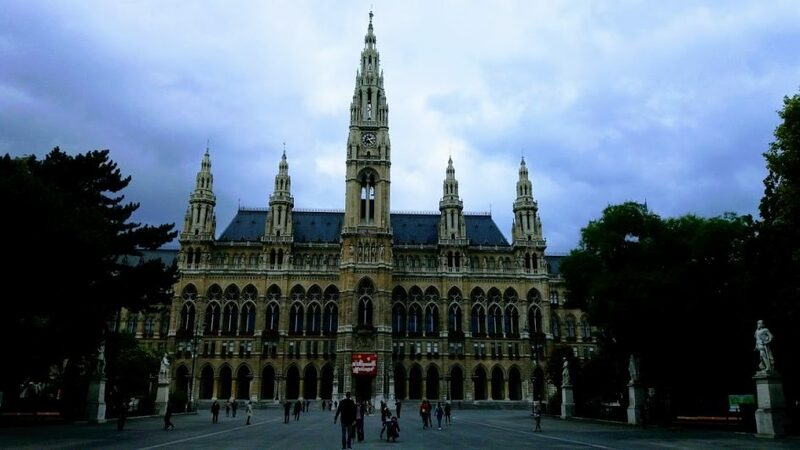 Lastly I want to show you the Vienna City Hall – the famous Rathaus. Rathausplatz is the big square where the city hall is situated. There is a lot of space that looks empty in the picture below, but it is actually full most of the time! In the summer there is a film festival, in December and early January there is a Christmas market, and up until March there is an ice-skating rink. Bring mittens! 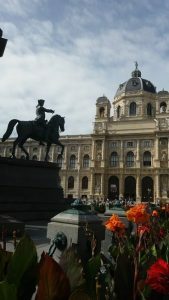 I hope you have enjoyed this very basic tour of Wien! I highly recommend it as a place for art and fun!